Water is an energy conductor, that’s why electricity and water can be a dangerous combination. Reiki and water, however, work together wonderfully. I was recently reminded of the importance of staying hydrated when doing Reiki work. Last Sunday I taught a Reiki I class, and I remember telling my students to drink plenty of water and get plenty of rest as their body adjusts to working with healing energy. Follow that up with a day of record temperature of 95 degrees here in Minneapolis, and the need for water increases. So I’m drinking a big glass of water tonight before I do my self treatment. Water really does make a difference, it’s just like after working out or getting a massage, your body really needs plenty of water when practicing Reiki. I’m glad that it’s supposed to rain overnight as well, my flowers need it as much as I do. Mother Nature will provide what we need, and we need to be good stewards of what we have as well. 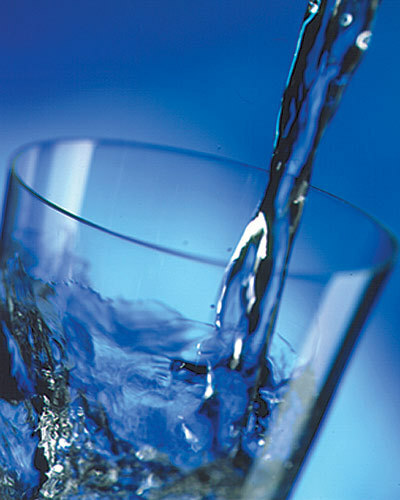 Reiki flows along with the water, in fact, I like to give my glass of water a shot of Reiki before I drink it. That way I get that healing energy flowing within my system as well. All I do is hold my hands together with thumbs touching above my full glass of water for a few minutes to send the Reiki energy to it. It’s a nice to have small ways to keep up my practice like this, and receive an additional blessing during my self treatment. My CD that I like to listen to when doing meditation or energy work has the sound of running water. I really love the mood it sets. So today I can say that I’m grateful for water, and the way it quenches my thirst, helps me to stay cool, and bring me joy. Today during lunch I watched a group of Canadian Geese by a pond under the shade of some birch trees. It was a beautiful scene. Water represents the flow of emotions and women’s spirituality. That is the significance of the Suit of Cups in the Tarot. Without water we cannot live. Whether we swim, drink, skip stones, sing in the rain, or just watch the geese playing, we are all blessed by water. So drink water and be filled with Reiki! When I’m self healing, especially for colds, I like to use Reiki on the bath water, to charge it up with positive energy. Then I perform Reiki while soaking in the tub. It seems to work really well for me.